Dubai: Families of expatriate men with financial cases have been able to end their illegal stay in the UAE, thanks to the government’s leniency in accepting their amnesty request through the missions. 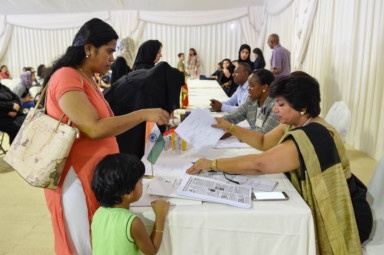 The Indian Consulate in Dubai has helped repatriate Indian women and their children living without proper residency documents due to financial cases pending against their husbands. The Philippine Consulate in Dubai has also extended similar help to two families in Dubai. Top diplomats told Gulf News that this was possible as the UAE government accepted their requests for visa amnesty if endorsed by the missions even though the men are still facing cases — whether in or out of custody. Several such families live in fear and suffer due to the financial cases including bounced cheques and loan defaults against men. Women under husbands’ sponsorship are unable to work and children cannot go to school without valid visa and emirates ID. In some cases families do not have valid passports either. As per the rule, the presence of both parents is required when children seek visa amnesty. 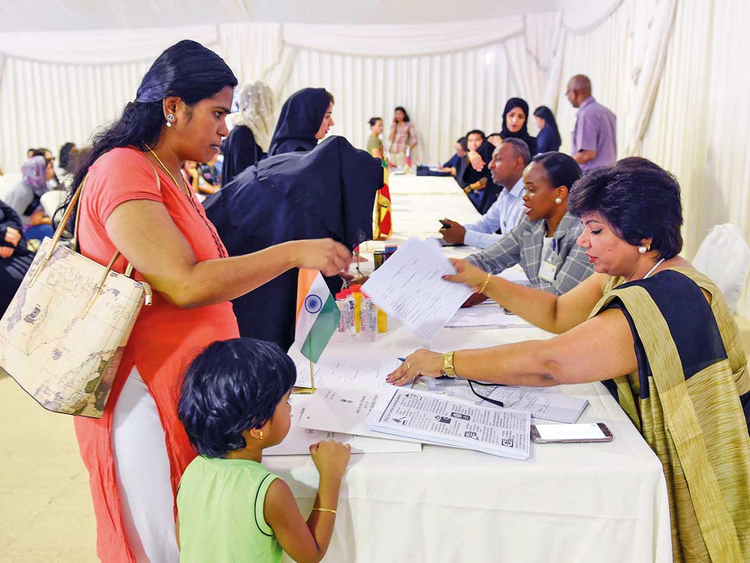 But, the immigration officials have exempted families from this if they can produce a letter from the consulate during the amnesty period, Consul General of India in Dubai Vipul told Gulf News. He revealed that the Indian mission had issued such letters to around a dozen families during the ongoing amnesty that is scheduled to end on November 30. He said the men are either in prison or out on bail in such cases. However, he said the consulate would not know the exact number of such families who have exited the country as they would get back to the mission only if they needed free tickets as well. Indian amnesty seekers are exempted from paying the fees for emergency certificates—the travel document commonly known as out-pass — if their passports are invalid and they are also given free tickets to fly home depending on their eligibility to receive aid from the Indian Community Welfare Fund. Two such families that recently sought tickets from the consulate flew home over the weekend. While a woman and three kids went back to Amritsar in Punjab, another mother with two young children returned to Bengaluru in Karnataka. The diplomat said one of the older children of the Punjabi family had not been going to school for four years. Thanks to the amnesty, such children can now start a new life back in their countries. Philippine Consul-General Paul Raymund Cortes said this grace was extended to two Filipino families as well. “The mother or father had to stay behind to face the cases while their children were sent home to the Philippines [so they could live a normal life],” Cortes said. The Philippine government helps amnesty grantees who choose to go back to the Philippines by paying for their exit-related fees, lifting of absconding cases, providing their air tickets from Dubai to their final destination in the Philippines, and giving adults welfare assistance aid amounting to $100 (Dh367) each. However, officials said there could be other families who are unable to avail the benefits of the amnesty since there are cases against both parents.